Are you as infatuated with afternoon tea as the craziest of afternoon tea fanatics? Recently I learnt (after a visit on a fantastic afternoon tea BUS in London!) of a national afternoon tea week organised by AfternoonTea.co.uk and I have decided to create my own way to connect afternoon tea addicts through the power of Instagram. I recently enjoyed taking part in a favourite blogger of mine’s own Instagram challenge (#RadicalSelfLoveJuly) and I enjoyed doing this so much that I thought I would put my own spin on this idea. Starting on 11th August, I’m planning to use Instagram to enjoy a week of afternoon tea treats… and I would absolutely love for you all to join me! 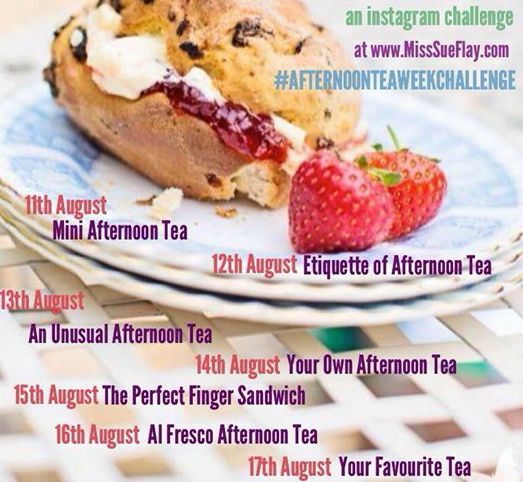 All you need to do is put the hashtag #AfternoonTeaWeekChallenge on your pictures and posts. With this hashtag, you’ll be able to explore the wonderful world of afternoon tea and enjoy seeing what other treats people are enjoying out there throughout the week. This should also help anyone who’s struggling to get to grips with Instagram and gives you a fun way to get used to this fun and social network whilst nibbling on a cream tea or enjoying a good old fashioned cuppa. Say hello to the rest of the afternoon tea nutters out there and enjoy an elevenses or a early afternoon indulgence over a book, bath or some other relaxing and inventive way to enjoy afternoon tea. It may just be a cupcake and your favourite brew, show us your style. Do you enjoy afternoon tea, being the perfect host and the more traditional ways to eat your scone or drink your tea? Or perhaps you know nothing of afternoon tea etiquette? Are you a biscuit dunker? Do you starch your napkins? Show us your manners… the good, the bad and even the ugly. 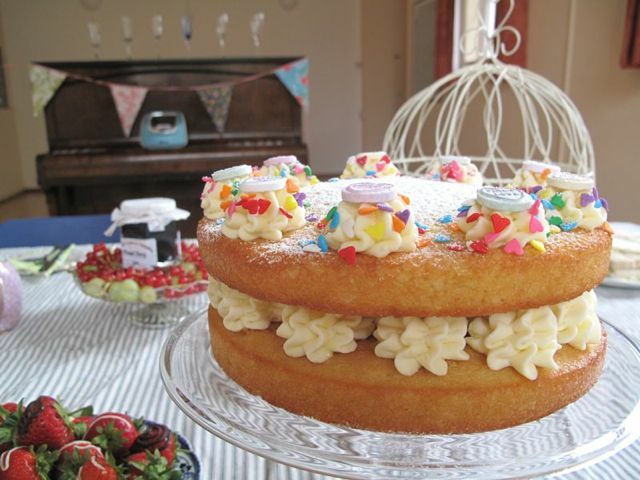 Get creative, put your own spin on a traditional afternoon tea and create a themed spread or enjoy a new and unusual afternoon at a top hotel or venue. Snap a photo that captures your different or darn right quirky tea table. What makes the perfect afternoon tea? Perhaps you have a “go to” recipe, the most fool-proof scones or a unique tea blend that works well with your home baked treats. Show us your passion when it comes to a cream tea, share it with your family or friends. How do you make yours? Crusts on or off? Square, round or open-topped? Do you choose the traditional one filling per sandwich or do you like to mix flavours and fillings and satisfy more modern tastes? Take a picture or make a video of your perfect sarnie. Get away from your usual surroundings and enjoy an afternoon tea out in the big wide world. Do you like to sip champagne up in the air on a hot air balloon ride or enjoy a family get together over a rustic picnic in the forest? Share your afternoon tea adventures. No worries at all, just catch up as you fancy, there’s no pressure. 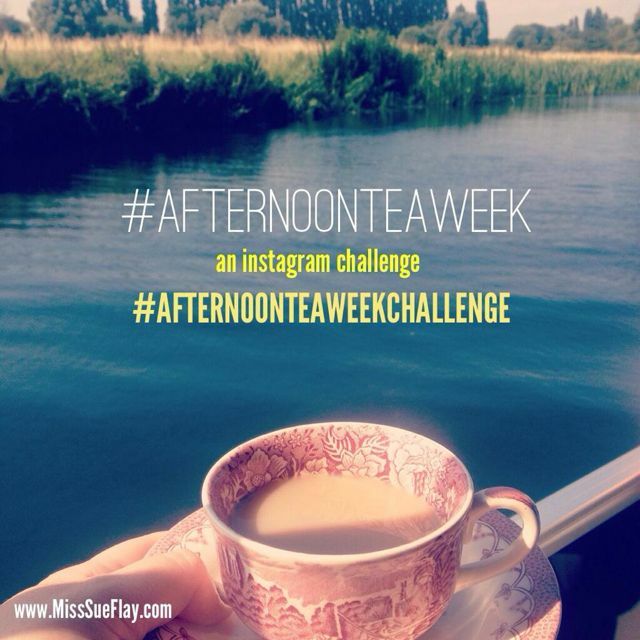 Can I post the #AfternoonTeaWeekChallenge graphics to my Instagram/Twitter? Yes, please do! It’s a great way to share the afternoon tea love and you can use it to refer to, simply use the hashtag when posting it please. This post is in no means sponsored, simply my idea to have some fun on Instagram and share the afternoon tea love, baby!